While the cops investigate the disparition of a young teenager they fall into a drug network who target the high school students. This film, like many others, is about the great evil that spreads all over the young generation : The Narcotics. The film is more serious than some others of the genre (Assasin of Youth, Reefer Madness or Marihuana), but it had a lot of misinformation too, but this is not the reason why those movie were made. So we have a group of teenager, who don't look like teenagers (the drug dealer is 21 but he look older than me), who are heroins addict and they do everything to have it. The film use a lot of naration and it's a good thing because sometimes the story is confusing. The detective is played by Paul Kelly who did a good job, not really surprising since he is an actor since 1911 (the surprise is more that he was in jail 2 years for murder) and the rest of the cast is not so great to be generous. The film is short and this is not a bad way to pass 70 minutes. But if you think that you'll laugh as much as you did with Reefer Madness, forget it this one is more serious. Not a great movie, but much better than what I was expecting. I want to thank you for taking the time to review these movies. 2 points awarded! Just a little way to do my part speaking of things I like (even if that isn't the case for every film). Tom Stewart is ready to marry the woman he love, but he have one little problem ... his mistress is there. He will let her die one night and for him the problem will be corected. But, his mistress will return to haunt him and try to win his love. Bert I. Gordon is more known for is giant animal movie (Empire of the Ants, The Food of the Gods, Beginning of the End, ...) for the general public and this is kind of sad. This movie is a good revenge story and you are on the ghost side (I can't say if this is voluntary, but Tom Stewart doesn't look like a good guy to me even if he is the hero). Some of the special effects are bad (this is a movie made 47 years ago that's kind of normal), but those use to show the ghost in the lighthouse are greatly done. The cast is good and look professional, the little girl is remarkable and she is probably the best actress here. If you like the « twillight Zone », the chance are good that you will like this one. You could get it cheap on a double bill with « Lady Frankenstein », but the print is far from perfect. A good surprise considering that it was not the film that I was interested to get when I've bought the DVD. An English Interpol agent and an Italian policewoman team up to catch a serial killer in the city of Rome. 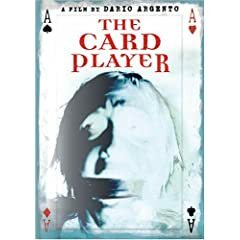 The killer play an internet poker game with the police, the results decide the destiny of the victims. This is a good thriller as only the Italian make them. A very good story with some good twist, an unpredictable end and a perfect soundtrack by Claudio Simonetti. Stefania Rocca (a complete unknown for me) had all the movie on her shoulder and she succeed on the challenge of it . A good serial killer movie who doesn't use the gore and the CGI effect to create the tension, but a good soundtrack, the natural lightning and a proffesional cast (the principal and the secondary ones). If you like Argento and the seventies giallo, I recommand this one to you ... you will like it. Director : Charles E. Sellier Jr.
At Christmas night the parents of little Billy are kill by Santa Claus. He grew up in an orphanage where the mother superior teach him that the naughty people must be punish. Years later he find a job in a toy store and had a normal life untill he have to replace the store Santa Claus. All his past come at him and he'll became Santa Claus...a Santa who punish the naughty!!! This is a great 80's slasher movie that I watch every year when Christmas arrive. Contrary to the others slasher films of this period, the action of the killer don't happen for no reason : All the people killed have a logic reason to be (for this kind of movie). Robert Brian Wilson have only this film to his credit (some tv figuration only) and it's surprising, since he did a goob job. Linnea Quigley is in the cast and that's always a good thing. A very good way to pass a pleasant time in front of the TV, this movie is on the top class of the 80's slasher. The second part is good too, but more funny that anything else. I have the old Anchor Bay release with the part 1 and 2 who is now out of print. But, a new edition with the first part only was release the 11 december by Anchor Bay again. P.S : Pete you don't seem to have it on your collection give it a try. I think that you will like it. it's worst for the Italian movie. By exemple "Apocalypse domani" have more than 10 title and "Killing birds" have 3 other title and one of them is "Zombi 5" to falsely connect it to the series (the film had nothing to do with the zombies). Just a little note : I will continue my marathon after the holliday time, probably the 2 or 3 january. So don't worry this is not dead. The rest of the movie are move to the No-Goal, No-Theme, unwatched Marathon.